To launch expense approval, click on <Project Management> –> <Expense Approval> option in left side navigation menu. 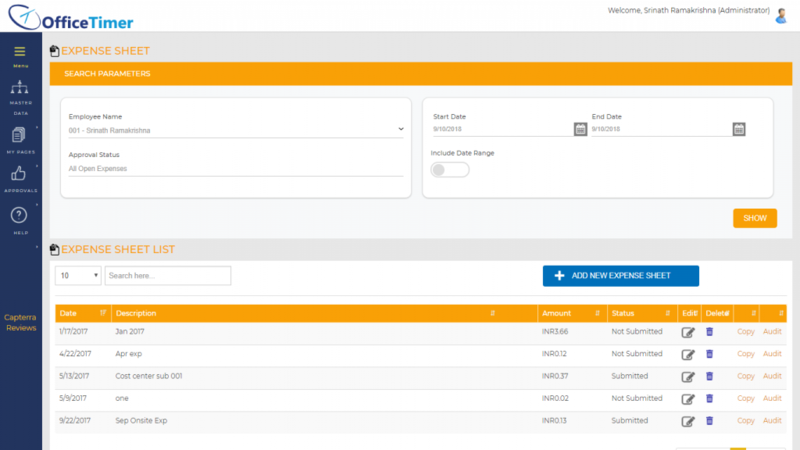 Expense Approval page shows four possible expense approval tables depend upon logged in employee role in different projects and expenseapproval pathdefined for those projects.These are the possible types of expense approval tables available in expense approval page. To view whole expense sheet before approval, an approver can click on “Employee Link” to open read-only view of expense sheet submitted by a user. The approver can see attachments of expense entry records by click on attachment links. Select[Approved]checkbox on expense sheet record which you want to approve. 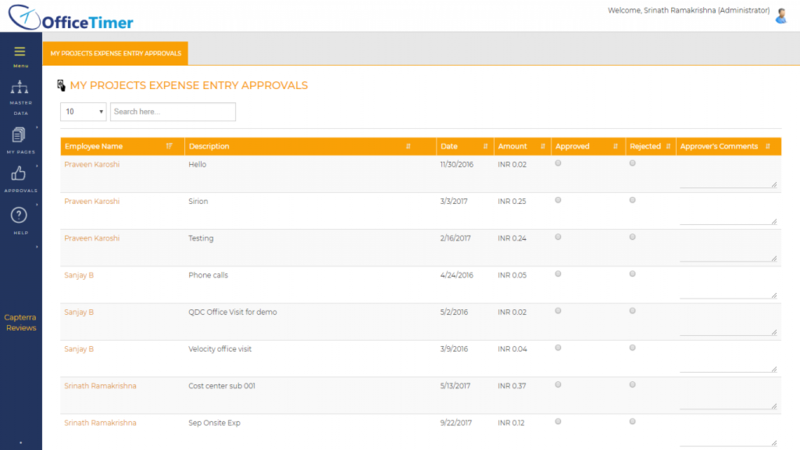 Click on[Update Expense Entry Approvals]button to confirm these approvals.